Are you a Texas martial arts school owner that has martial arts classes that last for longer than 2 hours in the afternoon and evening? Then, you should know that the Texas State Legislature thinks your martial arts school is a daycare facility. Follow this link for a short news clip. If these bills pass with their current language, many martial arts, dance and gymnastics schools would be forced to license as a daycares or shut down. It’s not just the expense involved (which is several thousand dollars each year), but we would also be required to purchase certain types of toys for certain ages, have a minimum number of instructors per certain number of children, have certain square footage per child and attend yearly workshops for continuing education (as many of us attend seminars to stay updated in our industries). There are also plans in the works to require daycare staff to have a 4 year college degree in child care (CDA). This language is not a mistake as stated by one bill co-sponsor. Many fear if after school programs (such as the Boys and Girls Clubs) are put out of business, the government will need to step in and build after school centers for low income families. Everyone could then send their children there and avoid the high cost of for-profit daycare which would put them out of business as well. The fear is that it’s a tactic for bigger government and higher taxes. That notwithstanding, we are not daycares. If you live outside of Texas, remember that once a bill passes here, it will be coming to the rest of the country soon. I will be addressing the Texas House of Representatives Committee on Human Services regarding the language of House Bill 601. You are urged to call your Senator and tell them to vote no on Senate Bill 68. These two bills are almost identical, so if one doesn’t pass one branch, it may pass in the other. Don’t assume definitions. For example: there is no definition of after-school programs. We all assume this means after school until parents get off work, but that language is not in the bill. Remember, this is written by lawyers. Midnight is after school. Lawyers could and will spin this to mean any evening recreational business. That is just one example. Please pass this along to people you know if martial arts, dance, gymnastics, cheer and other for profit after school programs. 1. Look up your STATE representatives and urge them to vote “NO” on the above bills before they go to vote. 2. Inform your representatives that we are not daycares – our mission is simply to teach martial arts! We do not tutor, feed kids, give them naps, etc. Urge your representatives to include language that excludes martial arts schools, gymnastics schools, and dance schools from this legislation based on their status as skill-based educational programs. 3. Point out that this will absolutely kill many small businesses in Texas… businesses that are already struggling during this period of economic recession. Wow, this is really bad news. A martial arts school profit margin is already tight, there’s no way this wouldn’t close thousands of schools out there. This bill needs to be fought, because after school programs are not day cares. This is really more politically motivated, in my opinion. If the state board has to regulate martial arts school, dance schools, etc., they can petition for an increased budget due to an employee shortfall. In addition, I think you’ll find that daycares see martial arts schools as competition now that many of us offer transportation and after school classes. Make no mistake, their industry is lobbying for these bills to pass. The argument regarding background checks is moot, by the way… if you compare the number of cases of abuse in martial arts schools with those in daycare facilities (who have to conduct background checks on all employees by law) I believe you’ll see that there are actually a disproportionately high number of cases that occur in daycare centers, despite the background checks. The reason? Predators try to find jobs that place them in a position of trust with kids, and daycares are one place they can have unrestricted access to children. Overall, my experience is that martial arts instructors tend to be careful about who gets around their students. Also, many of us actually teach child safety, abuse prevention, and abduction prevention classes – try to find those services taught in a daycare… you’ll be hard pressed. Of course, there will always be those who prey on kids that sneak into the system, in any industry. So, I’m not against mandatory background checks in martial arts facilities that teach kids – we all should be doing it. And, it’s interesting that the state makes it difficult to find which daycares actually have had infractions – I searched the site for statistics and could not make heads nor tails of the information available. Not to be too repetitive here as what needs to be said and who it needs to be said to has been done here. However can I say that I am tired of Government involvement and interference in personal and business lives for the sake of lobbying from people that are ignorant of the affect they are creating by sticking their nose where it does not belong. Government should not be trying to define anything for us. Unless of course they choose to subsidize all of us who teach the youth of America in ways not to become another statistic that will cost them so much more in the end. Thanks for passing this information along. I like the comments you made as it will give me more information before I address the committee with our concerns. I didn’t know about SB773. There is a Senate Bill 68 which is 19 pages long on the same subject but with different language. The author’s office said it’s for the safety of the children after school, but one of the exemptions is that you allow children age 5 to 13 to leave your school anytime they wish without supervision or a parent. I also was given an example of why the bill was written: “One place picks the kids up, feeds them a snack and then tutors them.” I’m beginning to wonder if this is a sacrifice distraction in order to sneak a bill through without scrutiny. However, I’m not taking any chances. I’m fighting for the bill to be thrown out completely. If it does go to vote, it should at least state that we keep the kids 6 hours or more, not 2. My classes are 1 hour, but then advanced kids stay for the 1 hour beginners for their leadership training. Any other feedback is welcome from martial artists, attys, representatives or anyone with helpful suggestions. Thanks again for helping spread the word. Too bad to hear this. This will truly kill many small businesses. We have to do something about it. Happy to do so, Danny. Glad you’re helping to fight this as well. Someone emailed to ask what they should talk about when they call, other than to ask their representative to vote “no”. Good question. I’d like to point out that transport really isn’t the issue… it’s the purposely vague definition of what is and isn’t considered a “daycare” according to the language in the bills. Explain that you don’t tutor kids, you don’t feed them, you just PROVIDE INSTRUCTION in the martial arts, period, and that your function is not to provide “care” for kids in your school. 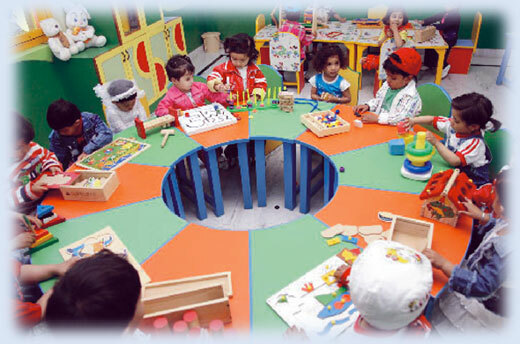 Therefore, since you only offer INSTRUCTION in a RECREATIONAL ACTIVITY, you should not be classified as a daycare facility. Also point out that under these new rules, elite “select” soccer and baseball teams that have 2 hour, four night a week practices, and elite gymnastics programs that provide extended practice sessions would also have to be licensed as daycares. The question comes to mind is that are we classified strictly for children or not. There is a national law that recently passed which required anything ‘specifically sold’ towards children must have a lead free certificate. It forced us to sell a bunch of our stuff at discount to get rid of the old inventory that didn’t have the certificate. However, going back to point… am I specifically focused on kids? If I teach an adults class does this mute the issue? Time will tell… More than likely I will have to pay Uncle Sam the extra luxury of being able to run my business where children are involved. I looked up the word care in the dictionary, and by it’s definition, the children are being left in our care. Some schools within the state do provide tutoring which helps the kids do better in school and cuts down on behavior which leads to trouble or fighting. Some have peer leadership where older children tutor the new and younger children. This creates a sense of responsibility in the older children and a sense of belonging in the new ones. We need to be careful to remember that not everyone operates the same way. I never thought about the select sports. That’s a great point. Tomorrow, I’m going to start trying to find statistics concerning daycares and child dangers (preditors, injuries, abuse, etc.) I don’t know if I can find any, but I am going to try. Please let me know if you think of anything else. 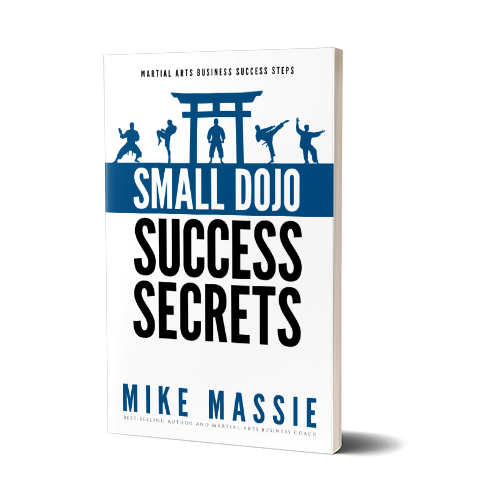 This is great help for us to try and help all martial artists. If this doesn’t bring us all closer, I don’t know what will short of war in our backyards. WOW!!!! I didn’t know that this was going on. As a martial artistist and instructor, I will now pass this info on to other owners in New York. We must band together to protect our industry and livelyhood. It’s hard enough now, but with government involvement it will get more expensive for the “lil people” to live, thanks for the info and please keep spreading it along. I thought you needed some true info about day care centers. The majority of the centers that I know teach child safety,abuse prevention and abduction classes,also. We also, teach good hygiene habits, social skills as well as signing,differ. languages and large and small motor skills. I have dance teachers and a karate teacher. I believe fully that all physical activities are wonderful for children. We are fighting government, also, and fighting for our business because public schools are taking our children and they are not regulated as we are. We have a book that is 6 inches thick of rules that we have to observe. Most of these I agree with,but you can innocently hire someone who would abuse children,also. No matter how many degrees one has, everyone who works with children should be regulated and even then adults make poor choices and can put a child in danger of getting hurt. Any mistake made in out industry has to be reported to the state, thus it is spread all over the news for teveryone to see. This is not so for other facilities teaching or caring for children. They can sweep it under the rug. That is why you see more about us. We are as dedicated in teaching and loving our children as you are and we are, also, fighting bills in Austin that could harm our industry and make childcare unaffordable for families. Hope this helps. I need a karate teacher know of one? Our after school is regulated and we have lost many of these to unregulated care, because it is cheaper, not because we don\’t do a good job. Thanks for the input, Wanda! You’re right about the daycare regulations… they are there for a reason. And, I’m glad to know you are offering child safety classes in your center. When there’s a suspected child abuse incident in our industry, it gets plenty of attention, believe me. Our industry magazines usually write on such incidents, as a way of letting other school owners and the public know when there’s a situation to be aware of… plus, it’s a given that it will make the local news, and I think that’s a good thing when the accusations are warranted. I’ll email you regarding finding a karate instructor. GOVERNMENT!!! That’s what it’s all about. They won’t stop till they own our kids. How is our country supposed to raise Olympians and professional athletes for the future if they are making it impossible for instructors to train our children? I will have to leave the state I love if this goes into effect, then move around if other states pass the bill. This bill can not be passed! We will have no rights at all soon. Shouldn’t this also have to include highschool football, basketball, track and volleyball…let’s not forget band, orchestra, choir and so on. If this passes they won’t stop! Every one needs to do their part and stop this bill and any bill similar to it in the future. Sadly, I have to agree with state on this issue. I also run a martial arts school as well. If we said that we don’t need the government and state regulate us then who can. If you are really doing a great job running After school program then you also have no issue of getting a license to run it. As a martial artist myself, I believe that we are a leader of our community and that is more reason for us to set an example to run a program like the way should be. let me put it this way if I knew that kindercare daycare teachers are teaching martial arts to my kids and they taught themselves by reading “martial arts for dummies’ I would pulling my kids out, demand the refund and report them to authorities. What would you do? I have owned and practiced a martial arts school in Texas for over 20 years. I do it part time know and passed it on to my son. The true martial arts school is far and few. The schools that you see now, is income generated and philosophy is now to make a million. This is fine. However, ‘old-school’ martial arts masters will not fight legislation, but, wants to only impart to the student and disciple real techniques and not baby sitting techniques. We, or should I say, I teach survival skills and techniques as passed on from generations past. There will be a way to continue to teach true form and techniques no matter what legislation is past. These ‘old-school’ masters know how to manuever legally. In realistic terms, no legislation will pass because you are talking about peoples survival, small biz survival. Texas needs to promote small business ventures not shut them out. It is the large school, profit-bound schools that want to eliminate the small schools in order to capture the market exclusively and fail to realize what their real rank is. Self-promotion, over stated ranks with no real experience. Those who fit this mold know what I am talking about and these ‘old school’ masters permeate all fabrics of the government, and interwoven into the academia of society. Some are even lawyers, councilman, and honest citizens.